Denial of needed care is not an acceptable “cost-saving innovation,” but it’s how the VA has held down costs from its inception. The VA has a long history of providing inferior healthcare, as revealed by many news reports and studies over the years including Failure to Provide: Healthcare at the Veterans Administration (2010) by history professor and Independent Institute Research Fellow Ronald Hamowy. And now we know that denial of care is worse than ever. 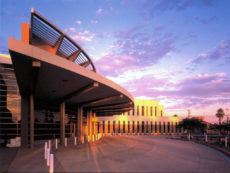 According to a preliminary VA inspector general’s report released May 28, at least 1,700 sick veterans waiting to see primary-care doctors were never scheduled for an appointment or were placed on a secret waiting list for months at the Veterans Affairs Medical Center in Phoenix, raising the question of just how many more may have been “forgotten or lost” in the system. The average wait time was found to be almost four months. Reps. Mike Doyle and Tim Murphy of Pennsylvania claim 700 vets had been placed on a primary care waiting list for doctor appointments at the Pittsburgh VA facility, with some waiting since 2012. The VA admits to 23 deaths nationwide due to delayed care. And this number is likely to rise. At least 40 vets died in Phoenix while waiting for care at the VA facility, many of whom were on the secret list. Officials are still investigating these deaths to determine how many were caused by denial of care. Any system that yields these results is not a national model. It’s true that unnecessary medical procedures are a costly problem nationwide, but the vets who died while waiting for care would have preferred too much care to none at all. The VA system obviously does not strike the right balance. Also, the inspector general’s report revealed that the VA system suffers from its own perverse incentives by giving employees bonuses based on reducing wait times. These incentives prompted VA officials to cover up actual patient wait times in order to get bonuses. Some vets’ appointments were lost in the fraudulent record keeping. This logic has to make the Nobel committee wonder if it’s not too late to take back Krugman’s 2008 Nobel Prize. My automobile insurer pays my repair bills, but I wouldn’t want them going under the hood to fix my Toyota. Having one skill implies nothing about having the other skill. Even the VA is starting to acknowledge that payments and care don’t have to be provided by the same organization. On May 27, the VA announced that vets waiting more than 30 days for VA appointments will now be given the option of receiving care in the private sector paid for by the VA. But a 30-day wait is still too long and morally indefensible. Perhaps most morally reprehensible, however, is that supporters of a single-payer, government-monopoly U.S. healthcare system, such as Krugman, tout the VA as the model and want to impose it on all Americans. God help us if that becomes reality. The VA is ObamaCare taken to its logical end point. It is the best argument against a single-payer system and the best evidence for repealing ObamaCare immediately.